European real time bidding market record constant growth - Join Geniad and monetise your website today on_sent_ok: "_gaq.push(['_trackEvent', 'Contact Form', 'Submit']);"
Since Real Time Bidding (RTB) technology reached the shores of Europe from the US, the market has been developing gradually, recording a constant growth. 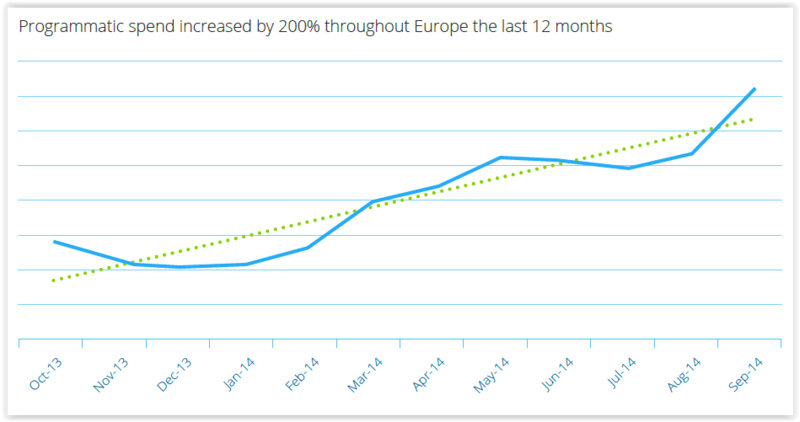 Latest reports (Q3/2014) show how generated revenue in almost all European markets has been increasing over the past few years. In total, the European market has seen a growth rate of 200% over the last year (Q3/2013-Q3/2014) with RTB ad spending increasing by 16%. Taking a closer look at each European country, the three biggest markets at the moment (the UK, Germany and France) have all registered strong evolution over the last year. The UK market grew by an astonishing 800%, Germany approximately 750% and France approximately 300%. The strongest market in Eastern Europe, Poland, also boasts an 800% increase of the RTB market. The Netherlands, as one of the earliest adopters of RTB technology in Europe, only has a market growth of less than 100% but still appears to be growing continually. 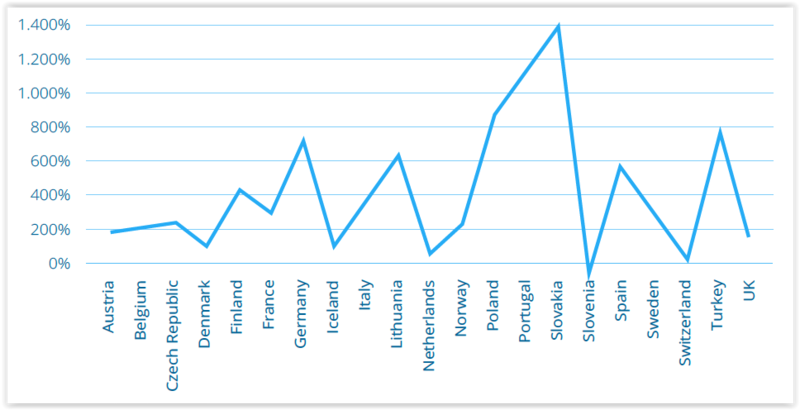 These are impressive RTB growths for all European countries mentioned, however it is Slovakia and Portugal who have seen a particularly exceptional growth with 1,400% and 1,200% respectively. To compare these stats with Q1/2014 and Q2/2014; the German market has shown a growth of 600% in Q2 compared to 400% from the beginning of the year in Q1. This continues to rise to almost 800% growth in Q3. Considering Germany’s strong economy and market size, it is one of the most interesting markets to explore in the next coming months. Team this with the Nordic countries showing a very strong increase this year and Eastern Europe becoming even more interesting for advertisers and publishers alike, it makes sense to start considering RTB technology in your business strategy.